1. From the visual editor click the Page Builder tab. 2. Create a row, then on the top right of the row hover over the toolbar and click Edit Row. 3. Open the Layout tab and set the Bottom Margin to 0 and the Row Layout to Full Width Stretched. 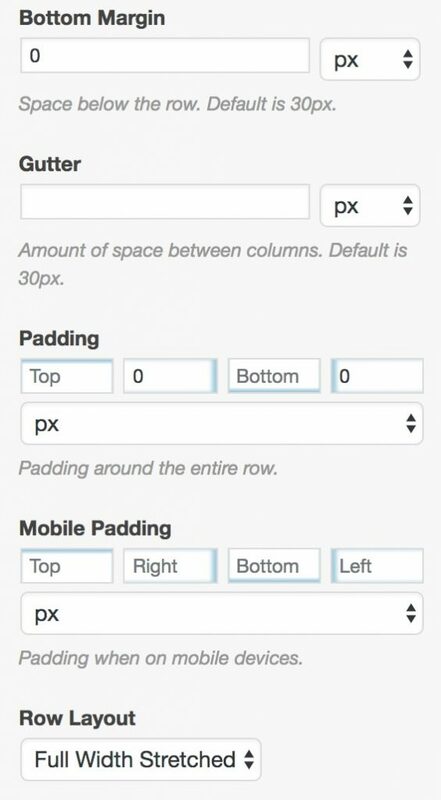 Choose whether or not you want to add padding to the row. 4. 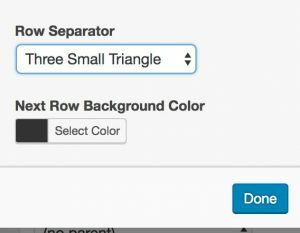 Open the design tab and give your row a background image or color. *Note if using Center Triangle Small or Three Small Triangle row separator style it works better to use a background color rather than an image. 6. Select the row background color that will be used on the next row (this color will be pulled up into the current row. See examples above). 8. Add content to your row (examples above are using the Ascend: Call to Action widget). 9. 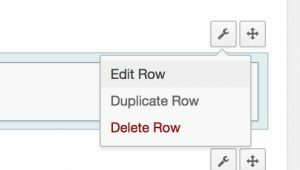 Create a second row give it the same background color as the row separator color in the previous row. 10. Repeat the above steps as many times as you would like.